Demarco is ready to spread some puppy love! 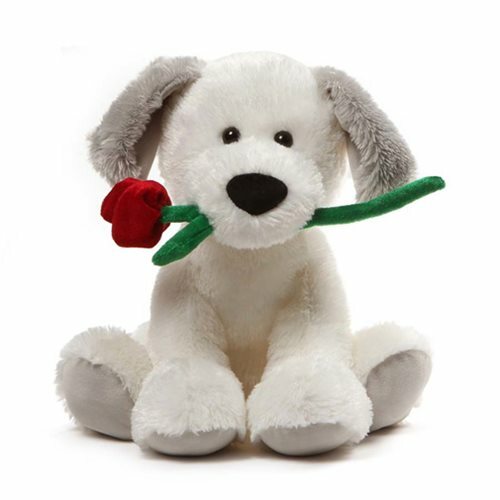 This fluffy white Demarco Puppy Valentine 10-Inch Plush features a plush long-stemmed rose in his mouth and cute gray ears. Soft, huggable, and made to the famous GUND quality standards, 10-inch tall Demarco makes a perfect gift for that special someone. Surface washable for easy cleaning. Ages 1 and up.